As I’ve mentioned many times on this blog, San Francisco is one of my favorite places to visit. The foggy weather, public art, trendy restaurants, and bearded men get me every time. Plus the coffee. Because, as you also know if you’ve been following me for a while, I LOVE COFFEE. Like, a lot. So naturally, I have to write a post about my favorite coffee places. Before I begin, let me first give you some of my qualifications. 1. It usually has to be specialty coffee. I say “usually”, because of the “never say never” rule, and I can’t promise that I’ll never write about a non-specialty coffee shop. For more info about specialty coffee, see here. 2. I have to be impressed by not only their coffee, but also by their employees and atmosphere. That may not be fair, since really it’s all about the coffee, but there’s something to be said about the other aspects, too. If I’m visiting a coffee shop on vacation, I probably want to hang out for a little while, and the atmosphere and employees should be pleasant. 3. I have to want to visit again. I’ve been to specialty coffee shops that I’ve thought were okay, but I wouldn’t go out of my way to visit again. To make the list, it has to be a place I want to spend a lot of time at. P.S. These are in no particular order. If you’re staying near Fisherman’s Wharf, Beacon is a short walk away from most of the hotels and shops. It was about an eight minute walk from our hotel, so not the closest, but definitely close enough for this coffee snob. 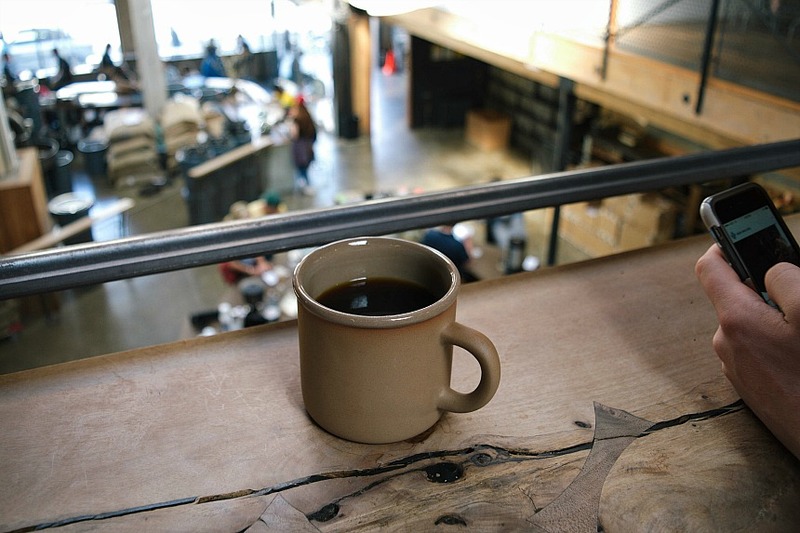 Their beans are roasted by Sightglass (see below), and they have great espresso drinks and a few snacks. If you’re looking for a close, relaxing place to spend your morning before a day of shopping or tourist-ing, this is a great choice. (Oops! I forgot to snap a pic). 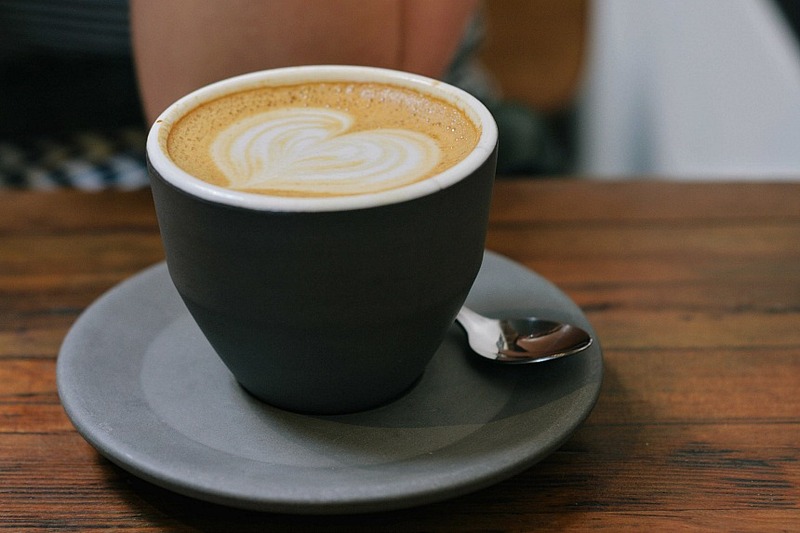 Stanza is a cute, minimalist coffee shop in the middle of The Haight. I love Haight Ashbury area, because they have really good food, some great thrift shops, and a killer record store that always has amazing finds. I had never seen a specialty coffee shop there until this trip (I’m not sure how long Stanza has been there), so I was thrilled to see one! My recommendation would be a cappuccino. Served the only specialty way, with silky foam. Tip: They have another location in The Mission as well. Me and my cute mom enjoy capps at Stanza. The only picture I got! This was my second trip to Sightglass, and I loved it just as much the second time as I did the first. I have only been to their 7th Street location, but I imagine their other locations are just as beautiful. The cool part about their 7th Street location is that it is where they roast their coffee, and there are 2 stories, so you can watch the action happening below. They had Ethiopian coffee, which has been difficult to come by this summer in Reno, so I was beyond stoked. They also have really great espresso drinks. 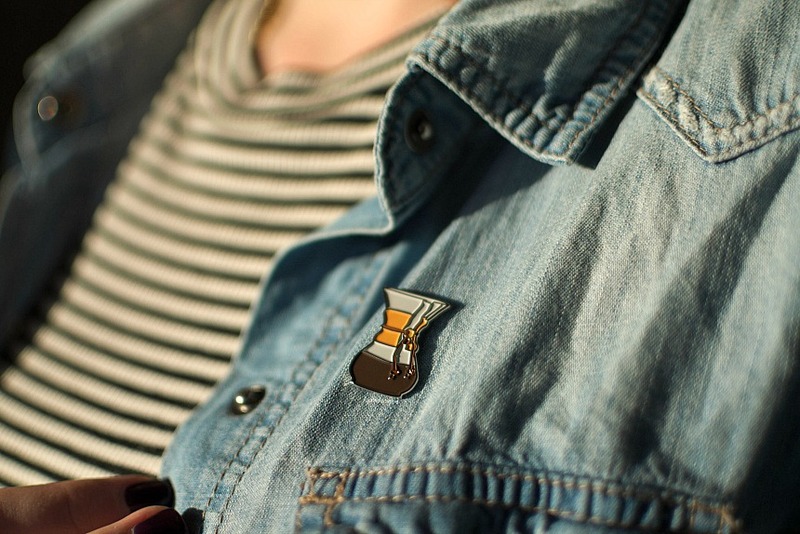 Plus, they have cool swag for sale – it’s where I got my amazing Chemex pin pictured above! Tip: They have locations in The Mission, The SF Farmer’s Market, SFMOMA, and soon on Divisadero! Wait, do they rent offices across from the upstairs bar area? How do I get one?! 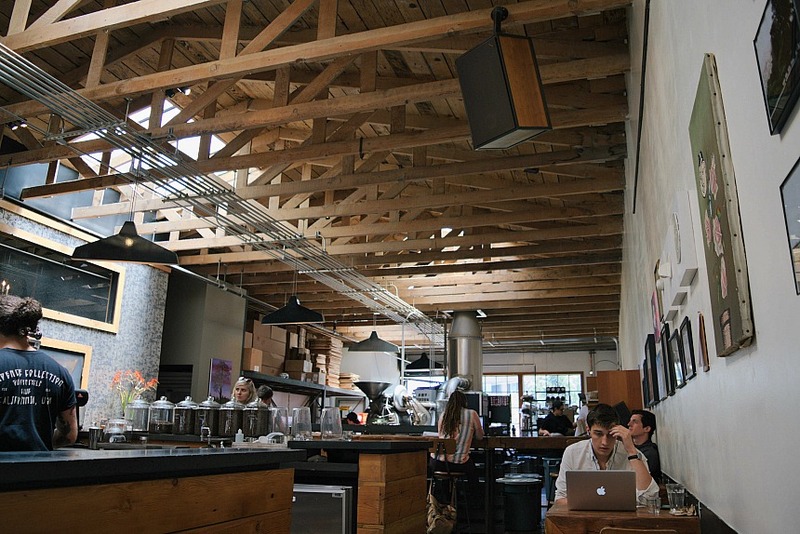 Four Barrel is probably my favorite SF coffee to date. Their Valencia shop has a lot of energy, local art, cool staff, and (of course) amazing coffee. Honestly, it’s a good thing I don’t live anywhere near this neighborhood, because I would spend all of my tip money (unless they want to hire me? Yes? YES?!). Anyways, aside from their fantastic marketing, mugs, and (duh) coffee, they have adorable coffee roasters. I watched them dance when they weren’t looking (Creeper Confession #2). However, I don’t think they would mind my watching. Side note true story: They had this mug in their shop for the longest time that I loved, because it really embraced my personality. Right when I decided to buy it, they went out of stock. SO MANY TEARS. See mug here. Tip: They have locations at The Mill and in Portola! Dancing roasters in the way back. My next stops include Blue Bottle and Ritual (which I’ve actually been to before, but I don’t really remember…)! Any good SF coffee recommendations? …because I got to watch Real Estate perform this live while on holiday!